Reason to watch – The universal “what if” is answered from the perspective of Robin Tunney’s character Emmie. Reason to watch – By the looks of the trailer, Emily Blunt and Colin Firth have amazing chemistry. Reason to watch – This movie premiered at last year’s Sundance Festival with good reviews, plus there is a great cast in the suspenseful psychological thriller. Reason to watch – Roland Emmerich famously blew up the White House in Independence Day, the next logical thing is to invade it. Jamie Foxx takes on the role of Commander in Chief while Channing Tatum is the aspiring secret service agent set on protecting him. After the box office flow Olympus Has Fallen, I’m curious about White House Down and if Channing Tatum can draw the crowd. Categories: Movies | Tags: arthur newman, channing tatum, colln firth, emily blunt, joel edgerton, see girl run, trailers, white house down, wish you were here | Permalink. Countdown to GOT Season 3 – #1!! I can’t believe it. The day is upon us. I feel like it’s my Nameday Celebration! Our #1 quote comes from the great Khaleesi. Where we last left Dany and her Khalasar, she had just rescued her dragons from the House of the Undying. She then returned to Qarth and plundered the city so she now has enough money to buy ships and an army. The Khaleesi learned a great lesson in Season 2, and that is that no one can be trusted. So my most anticipated moment of Season 3 is finding out if the Khaleesi trusts her own instincts and raises the army that she needs to fulfill her promise to her people. Will she become the great and powerful dragon, and cross the Narrow Sea to reclaim the Iron Throne? Will she return House Targaryen to King’s Landing? I cannot WAIT to find out! The Khaleesi is my favorite character that’s currently not in Westeros. She is a woman unlike all the other women of Westeros that we are used to. She is a born conqueror. I loved seeing her progression from a young girl terrified of her own shadow to the great ambitious leader she has become. Emilia Clarke is the perfect actress to play Dany because she has figured out the perfect balance to portray her. She is ambitious and passionate but also naive and innocent. Her character is difficult because at times it could come off as campy or outrageous. The Darthraki language could be laughable if it isn’t executed precisely. But Clarke has consistently done a phenomenal job. She has delivered countless times in Seasons 1 and 2, and I hope she continues to do so in the next ten weeks. So what will happen to the last Targaryen? We know her dragons have grown and they are strong. 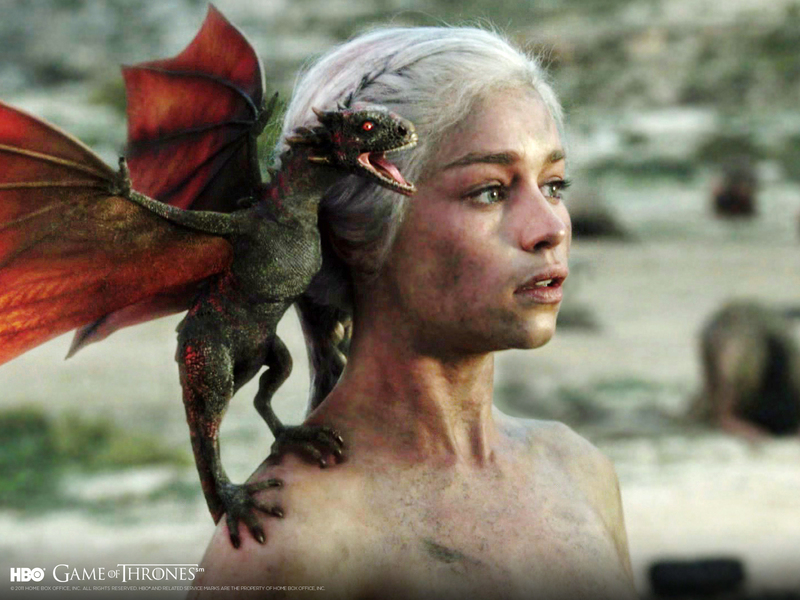 Will she begin to use the dragons as her weapons or will the dragons have a plan of their own? Will Jorah confess his love for Dany or has that ship sailed? [Yes, the pun is intended] Or will someone else try to take Dany’s dragons? Thankfully, we only have a few more hours to find out!! Game of Thrones premieres tonight at 9pm on HBO. Categories: Game of Thrones, TV | Tags: countdown, Daenerys Targaryen, Game of Thrones, GOT, HBO, House Targaryen, Iron Throne, Khaleesi, Westeros | Permalink. True Blood, Season 6 Teaser Trailer!! Categories: TV | Tags: Bill, Eric, HBO, Sooki Stackhouse, Trueblood, TV | Permalink. Happy Cluckin’ Easter from our family to yours!! We thought you’d enjoy this performance by Jimmy Fallon and the Cluckineers on this beautiful Easter Sunday. Last week, Jimmy Fallon, Blake Shelton, Nick Offerman, and the editor of Late Night clucked this version of The Lumineer’s Ho Hey and we can’t get enough! 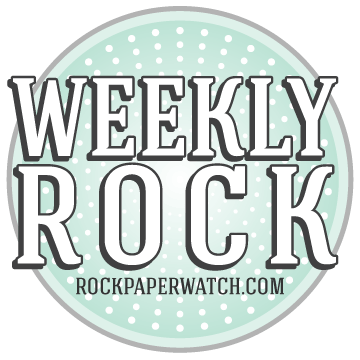 Everyone at Rock Paper Watch wishes you a Safe and Happy Easter! Categories: Celebrities, TV | Tags: Blake Shelton, Chickeneers, Easter, Jimmy Fallon, Late Night, Lumineers, Nick Offerman, television, TV | Permalink. Our countdown is almost over and I hate to admit that I’m happy about that fact. That’s only because it means we will finally be watching a new episode!! It feels like an eternity since I’ve done that. We all know what happened to the last two Hands of the King. Recap – one killed by mother, the other by son. What will that mean for Tyrion? We already know that Cersei hates him, and I think Joffrey would execute him if he slapped him one more time (you can see the slap at 44 seconds!). So, my third most anticipated moment of GOT Season 3 is finding out if Tyrion keeps his head. I sure do hope so, because I’d like to see Tyrion get back into the game. He was better at playing it than anyone short of Lord Varys, no pun intended. Tyrion is smart, savvy, and somehow manages to stay one step ahead of everyone. He’s even managed to keep Shae alive, despite Cersei’s attempts at her life. I could probably write a novel about how much I love Peter Dinklage. Instead, I’ll keep it simple. Recall the scene where Tyrion made the decision to lead the charge against Stannis after Joffrey fled the battle. His script called for him to declare that he’d lead the charge one time. Instead, Peter decided to ad-lib with the second line – the first one quiet as if making the personal revelation that he’d do it, the second one firm asserting his power and confirming his choice. It was the perfect addition, and it captures everything I love about this actor as Tyrion. He is perfect. 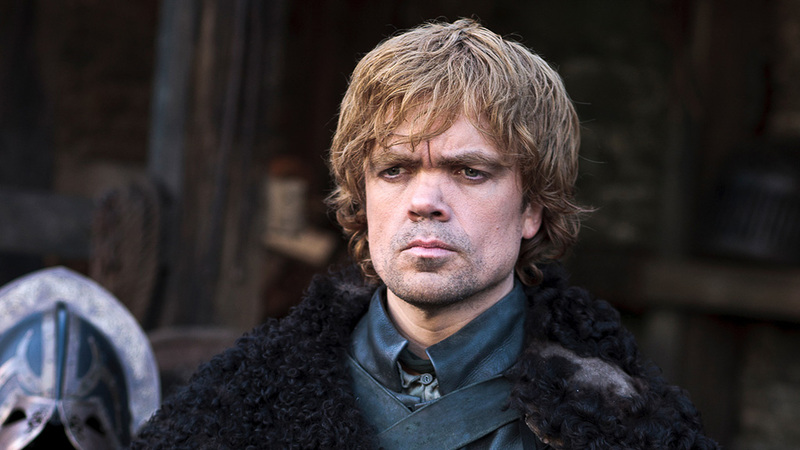 So, what will happen to Lord Tyrion this season? Will he survive in King’s Landing? Will Cersei discover the real Shae? Can Tyrion return to his former glory or will he decide to leave it all behind and flee? We do know that Tyrion owes Cersei. And I can’t wait to see him pay her back. And I’d bet we can count on that happening soon, since a Lannister always pays his debts. Categories: Game of Thrones, TV | Tags: Cersei, countdown, Game of Thrones, GOT, HBO, Joffrey Baratheon, Joffrey Lannister, King's Landing, Lannister, television, Tyrion, Westeros | Permalink. For our third quote as we near the end of our countdown, I reached back into GOT 1×10. This quote comes from Jon Snow as he pledges his life to the Night’s Watch. But it seems the most appropriate considering where Jon Snow is headed. We last saw Jon Snow after he murdered his fellow brother, Qhorin Halfhand. Jon did this so he could convince the Wildings that he was one of them, so he could infiltrate their ranks and kill Mance Raydar. Or, did he? My third most anticipated moment of GOT Season 3 is finding out if Jon snow is an honorable man. Will he fulfill his task of assassinating the King Beyond the Wall or will he join the Wildings and fall for Ygritte, the beautiful red-headed wilding, and break his oath to the Night’s Watch? I hope that it’s not the latter. I hope that Jon is an honorable Stark, unlike Robb and Arya, and that fulfills his duty to the Wall. We all know that the Wall is desperately in need of Jon and Ghost’s assistance. Who can forget the jaw-dropping final scene of the Season 2 finale? How will Sam make it out alive?! I can’t wait to find out. I have to take a second and tell you that Kit Harrington is my GOT eye candy. And, not only is he gorgeous, but he’s a great actor. Jon has so many layers and Kit Harrington does a wonderful job of bringing that to light. Jon is vulnerable yet undoubtedly strong. At times, he seems terrified yet fearless all at the same time. I also really love his relationship with his direwolf and I wish they would focus a bit more on it. 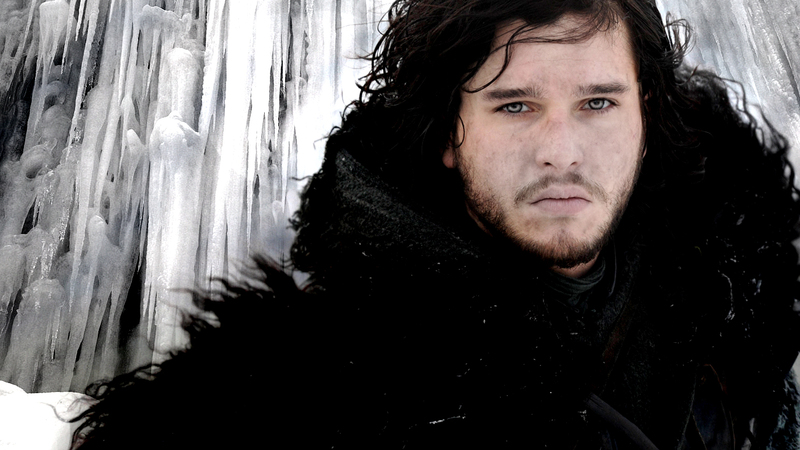 So, will Jon kill the King Beyond the Wall and come to the aid of his brothers? 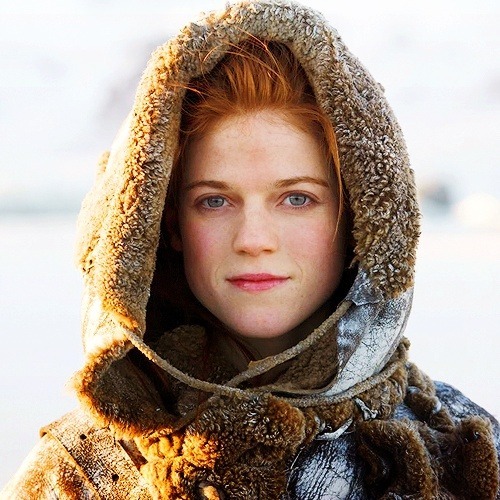 Or, will Jon break his vow and succumb to the sweet seductions of Ygritte? Thanks to the Old Gods and the New, we only have to wait two more days to find out! And, in case you can’t wait to see Jon until then, here’s a little weekend treat. Categories: Game of Thrones, TV | Tags: Arya, countdown, Game of Thrones, GOT, HBO, Jon Snow, Night's Watch, Robb Stark, television, The Wall, TV | Permalink. This album is so natural and beautiful. I’ve had it on repeat all week, his music videos are just wonderful as well. I really shouldn’t have to explain this one. Jessica Biel is one lucky lady. Nothing reminds me of an Appalachian Summer quite like the Punch Brothers. This is a serious feel good jam and the anthem to my life at the moment. I’d like to think of this song as prep music for a Jamaica trip that is right on the horizon. When spring time is around the corner, I want oldies and beach music to get me ready for warm weather. There’s something very earnest about this cover of Use Somebody. Anyone else loving the Pickin’ On Series? My favorite song off the Phillip Phillips album, video premiered recently. I added this to my workout playlist a few weeks ago and I can’t stop listening to it. And let’s face it ladies, truer words have never been spoken. I’m obsessed with this song and guess what, I don’t care! Categories: Music | Tags: Backstreet Boys, Ben Howard, Bob Dylan, Bruno Mars, Cassadee Pope, Dion, Emmy Rossum, Explosions in the Sky, Good Old War, Grizzly Bear, Icona Pop, john mayer, Justin Timberlake, Little Green Cars, Mary Lambert, Mumford and Sons, Of Monsters & Men, Phillip Phillips, Pickin on series, Punch Brothers, Raconteurs, Rilo Kelly, Sarah Darling, She and Him, The Beach Boys, The Beatles, The Black Keys, The Lone Below, The Lumineers, The Postal Service, The Strokes, weekly rock, Yeasayer, ZZ Ward | Permalink.